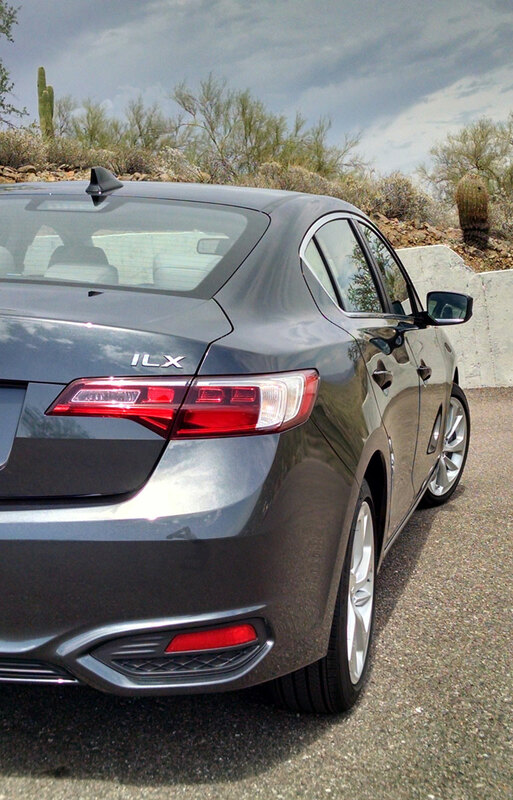 The 2016 Acura ILX Tech Plus we have here comes with fresh design since the model made its debut for 2013. 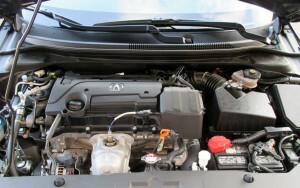 This year it gets a new front fascia sporting Acura’s now trademark LED Jewel Eye headlamps and daytime running lights. 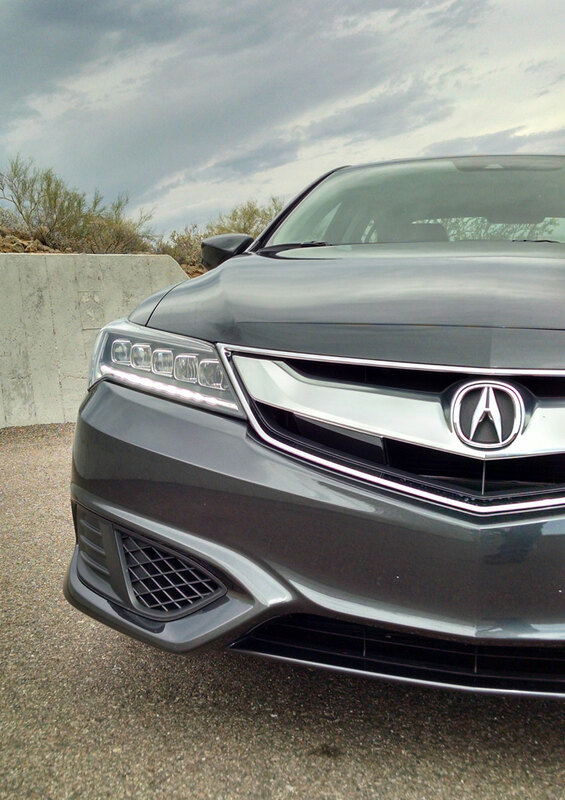 A new grille design too brings the style in-line with Acura’s also new TLX this year. Surprising however is the absence of fog lights here even in our near top-level grim grade. Those, along with a sport body package come with the A-SPEC option. At the rear is also a new fascia design that compliments the front and redesigned tail lamps. A new 17-inch wheel design comes with high-performance rubber, and 18-wheels are available in the A-SPEC upgrade package. 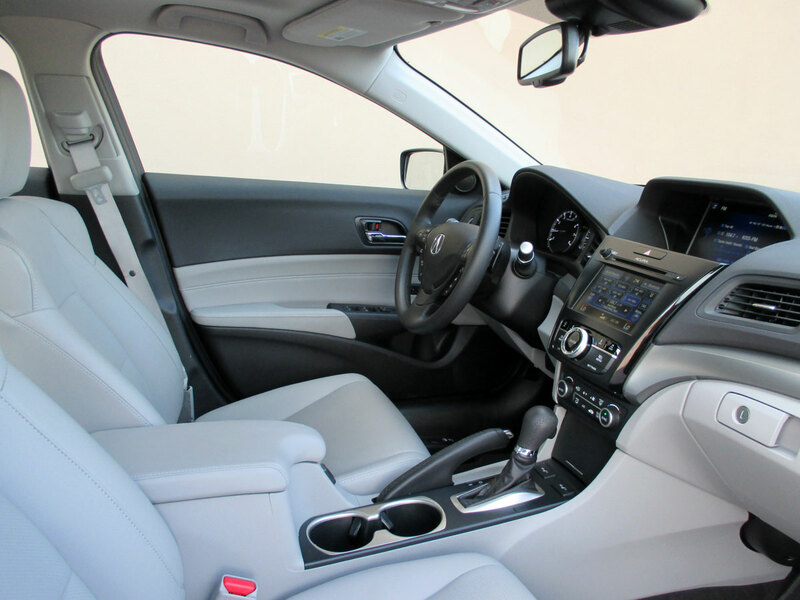 The cabin also received generous upgrades for 2016 with upgraded materials, new contrast stitching all around, and revised silver tone trim on the dash. A multifunction steering wheel with shift paddles and a down-to business instrument cluster make it very driver oriented. The front leather seats were both heated and power adjustable, offering excellent range, good support and a nice feel for long drives. Finding the right spot along with the tilt and telescoping steering wheel was quite easy. Finding your way around the center stack is easy too despite being jamb-packed with tech features. 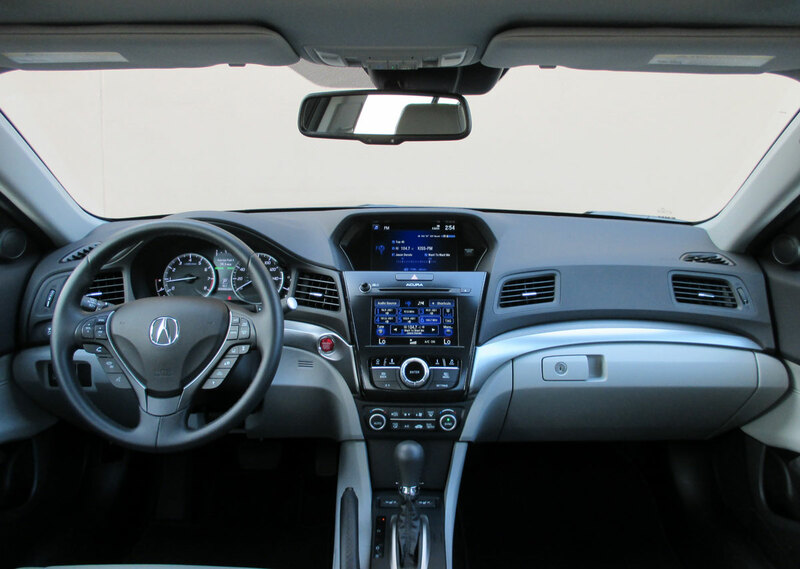 Acura provides hard controls for most used audio and HVAC functions along with a dual display layout for infotainment. The lower touchscreen operates a variety of things from audio to navigation to several settings for the car and connectivity features. The upper screen displays intuitively navigation, audio or other chosen screens. Audio quality from the top-end ELS sound system is crisp and thick regardless of audio source. All common forms of connectivity are at your disposal be it Bluetooth wireless or using a good selection of ports including USB. Quality of the switchgear in tactile feel as well as appearance is top notch here, and certainly gives nothing to competitors like the Mercedes-Benz CLA and Audi A3 when it comes to feeling like the money. 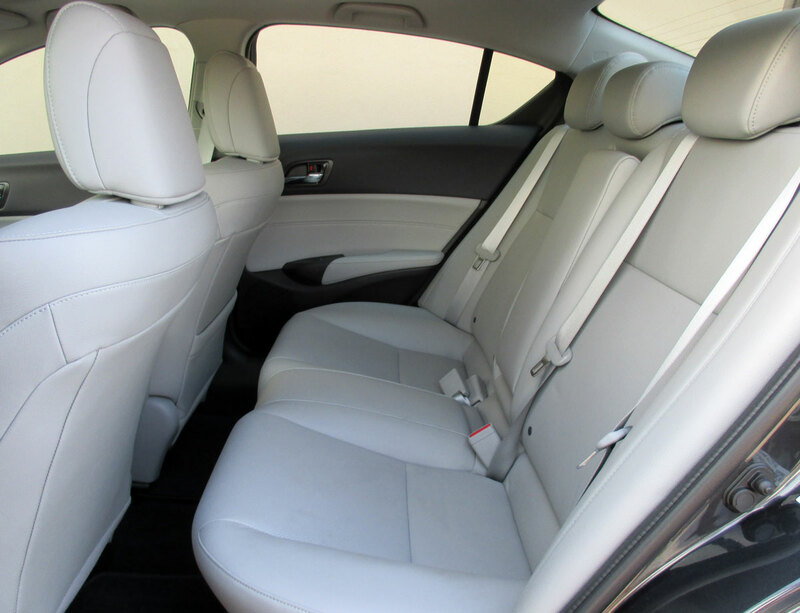 Moving to the rear seat, passengers will enjoy reasonable room for legs, hips and the head. Missing however are HVAC vents for rear passengers and the seat back only folds down as one large section, not split like most. 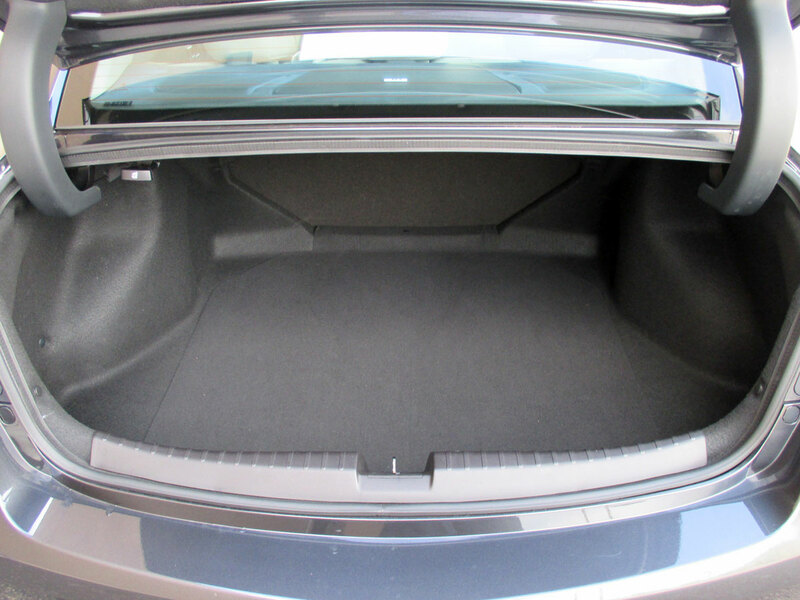 Trunk space in the well lined compartment is adequate for this class. And there’s space under the deck for smaller items since there is no spare tire here. Instead you get a can in sealant which is strange as even the Honda Civic comes with a spare tire. 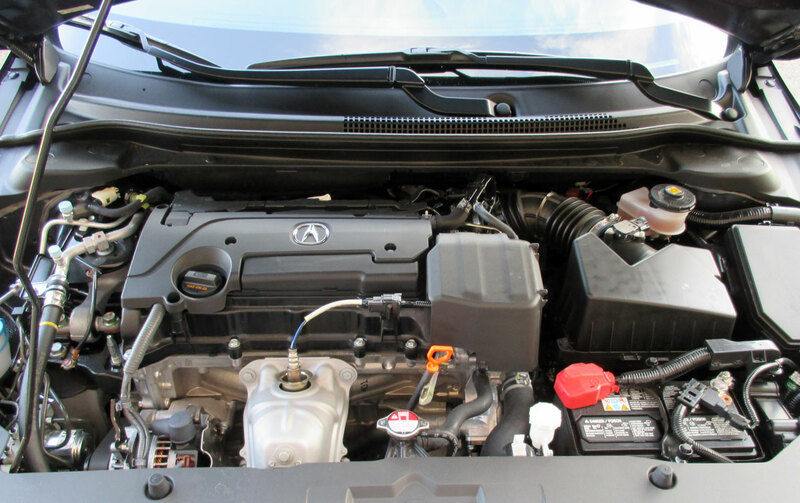 Under the hood is the staring attraction for 2016, the now standard 2.4 liter i-VTEC direct-injected four-cylinder engine rated at 201 horsepower and offering up 180 pound-feet of torque. This year however it comes only with a new dual-clutch eight-speed automatic transmission. Power and sound from this beautiful motor is a treat. 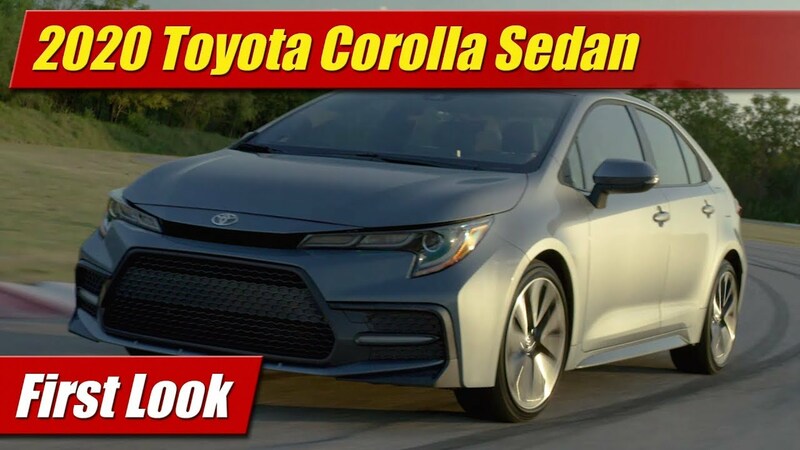 The new transmission on the other hand while promising the snappy direct shifts of a manual gear box, feels more like a traditional automatic in the end. It works well, but does hunt around a bit in stop and go driving. The upshot here is fuel economy. 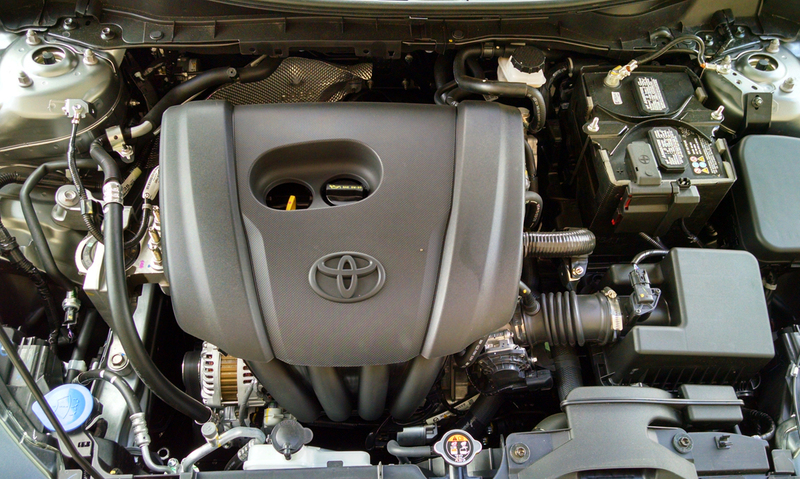 The EPA rates this new powertrain combination at 25 mpg city, 36 mpg highway and 29 mpg combined. 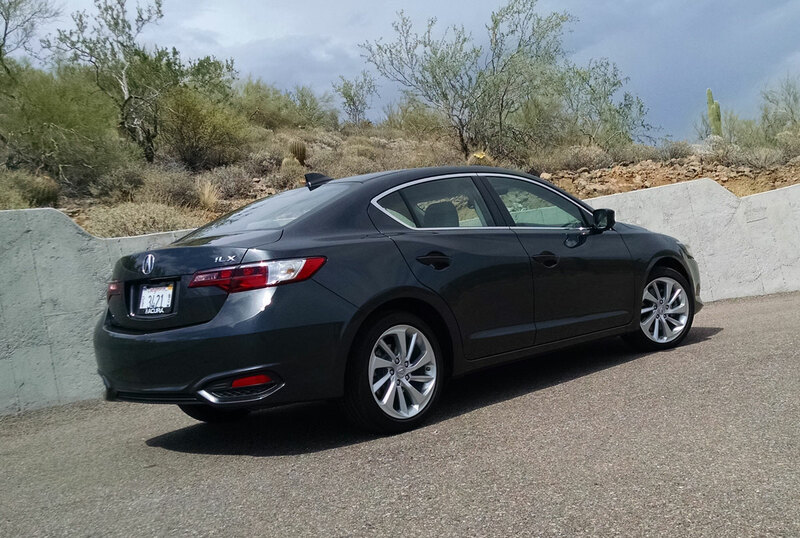 In my week with the Acura ILX I achieved 32 mpg combined, 3 mpg more than promised. Chassis enhancements for 2016 include new Amplitude Reactive Dampers front and rear, larger standard four-wheel disc brakes, and a larger rear sway bar. 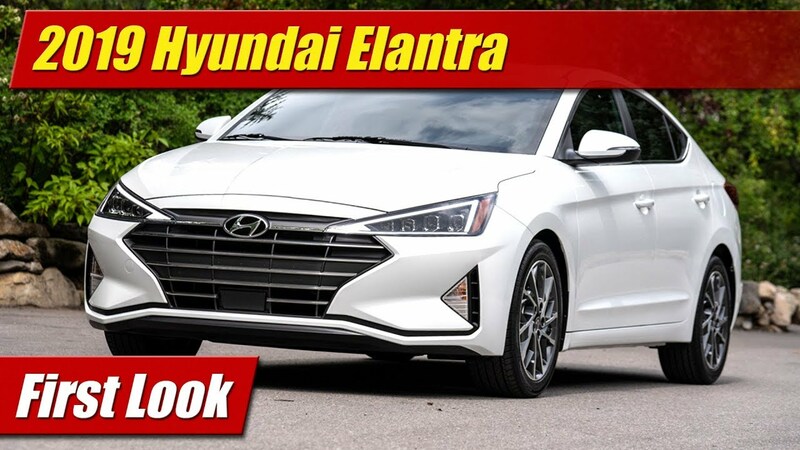 These chassis tweaks are paired with more sound deadening, including thicker front door glass, and noise-attenuating wheels. 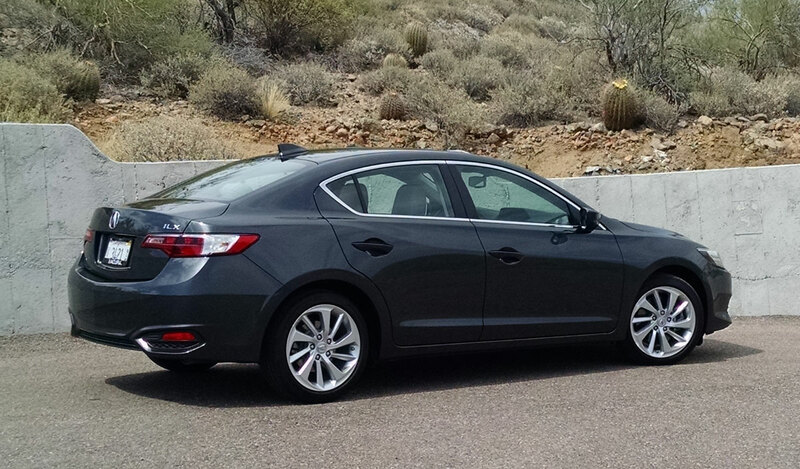 It’s tight and responsive on our desert back roads with steering light and full of good feel. Refinement is high on the scale as is the level of isolation from road noise and harshness. 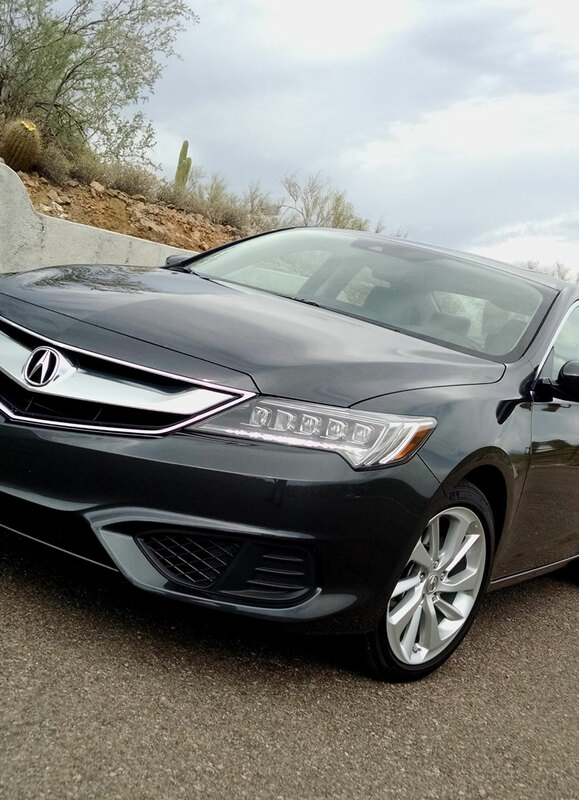 In addition to the ride and drive experience, our 2016 Acura ILX came with the newest suite of driver assistance technologies called Acura Watch Plus. 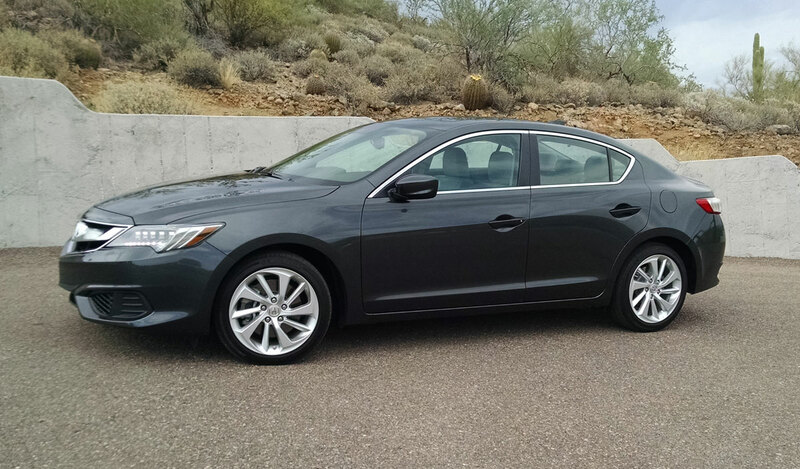 These included radar-based cruise control, lane keeping assist and road departure mitigation. The systems we tested were on top of it, working to let you know what’s in your blind spot, correcting you wandering out of your lane, and letting you know of things coming up to close too fast in front. 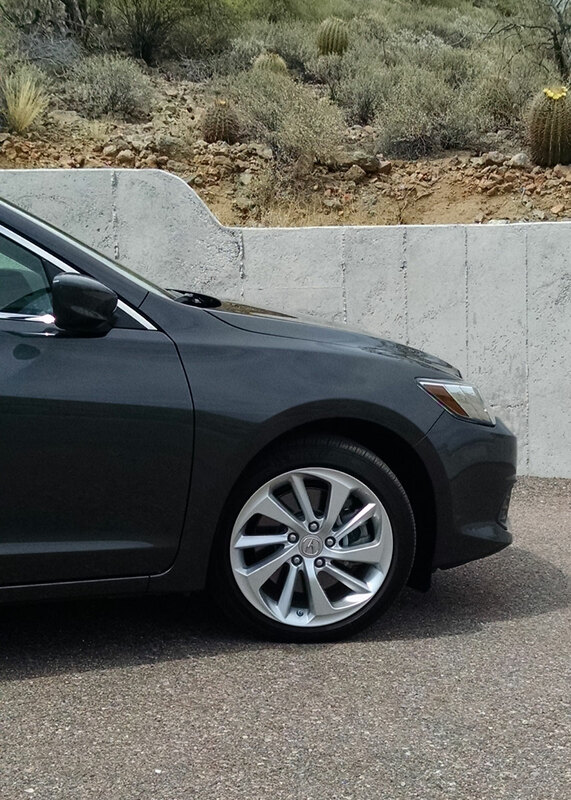 And with the rear view camera and cross traffic alert, it’s a pretty complete package. 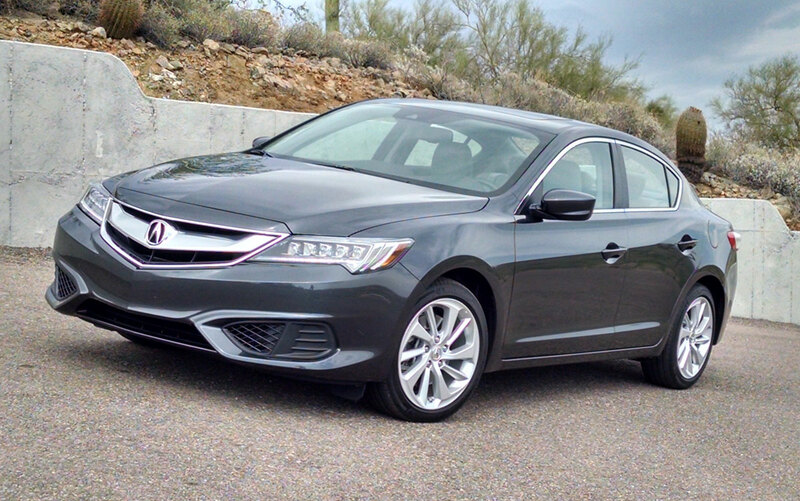 The IIHS certainly agrees, as they awarded the 2016 Acura ILX their Top Safety Pick + rating as it achieved Good ratings in their full battery of crash testing including the small-overlap test. 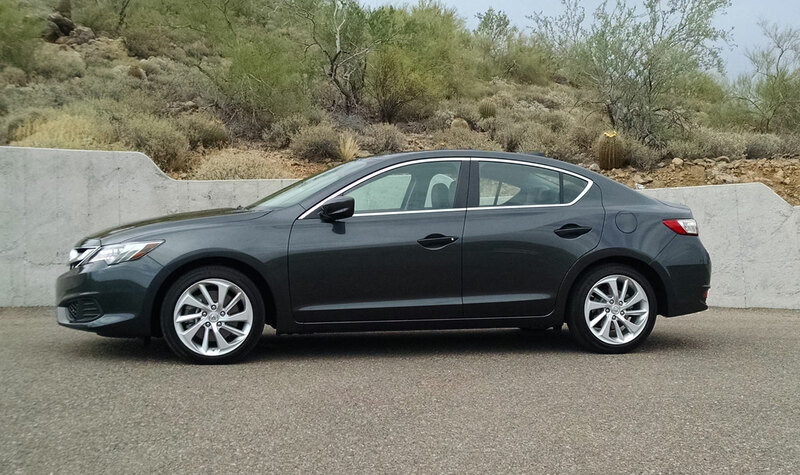 Overall we were very impressed with this new an improved Acura ILX but will miss the manual transmission. Though Acura likely did the marketing research and knows they will sell more with this automatic gearbox, our preferences want for the old one.